An easy-drinking, light-bodied wine with a smooth, refreshing flavour. A medium-bodied wine with a crisp, green apple bouquet, and hearty flavour. This is a true classic white wine at its finest. Try with lemon garlic tilapia or a spring vegetable salad. Medium Oak, Medium Body, Dry. A traditional style dry and lightly oaked Chardonnay with pear, apple, herbal and mineral notes and a crisp finish. Enjoy with grilled fish, chicken or buttered popcorn. Light Oak, Medium Body, Dry. 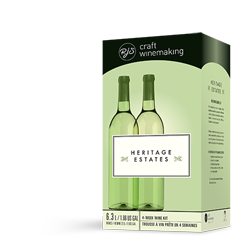 This low alcohol white wine features tart green apples balanced out by smooth white cranberries to create an easy drinking wine with a crisp, refreshing finish. 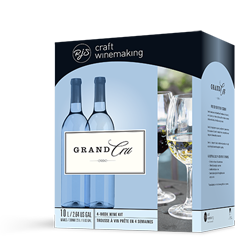 A typical dry Pinot Grigio style, this wine boasts aromas of tart green apple with crisp citrus and honey flavours. Pair with grilled seafood or Asian stirfry. Unoaked, Light Body, Dry. Rich, light-bodied flavour and slightly herbal aroma. Subtle undertones of apple and peach round out this easy-drinking wine. Enjoy with lemon broccoli and chickpea salad or quiche. Unoaked, Light Body, Dry. A classic off-dry and medium bodied Riesling style wine with floral and ripe fruit aromas, light mineral notes and a refreshing acidity. Serve with fish tacos and jalapeno or spicy shrimp. Unoaked, Medium Body, Off-Dry. Clean, crisp, and slightly fruity, this wine is full of fruit flavour with an intense and pleasing aroma. You will want to savour through to the last sip. Serve with buttery steamed bass or a cheese souffle. Unoaked, Light Body, Dry. A refreshing, medium-bodied, dry Sauvignon Blanc style wine with crisp, green apple flavours and pleasant herbal notes. Perfect with light seafood dishes or white meat. Unoaked, Medium Body, Dry. A clean, refreshing and food friendly white wine offering a light, fruity aroma with green, herbal flavours and a touch of mint. Serve with chicken and a fresh salad or shrimp and light pasta. Unoaked, Medium Body, Dry. 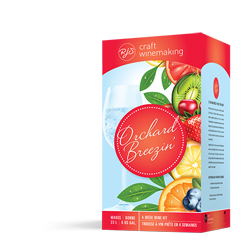 This light refreshing white wine offers the delightfully sweet aroma of fresh picked field strawberries blended with a rich mélange of honey, tropical fruit and floral flavours. Try it chilled for added invigorating freshness! Herbal aromas dominate the bouquet, while flavours of lemon and pear entice the palate. The finish is crisp and clean. A refreshing style white wine. Pair with tuna salad and avocado or pasta with pesto sauce. Unoaked, Light Body, Dry.